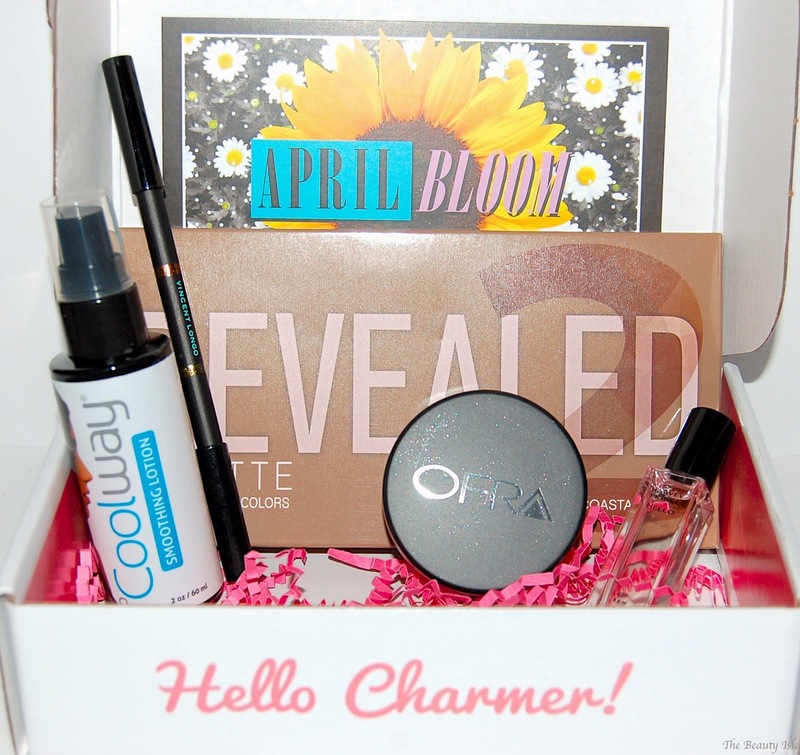 It's that time of month again...time for our Boxycharm box arrivals! Boxycharm is a monthly beauty subscription box that features mainly cosmetics but also includes nail, hair, and skin products. Each box includes high end and/or affordable brands that are full size or deluxe sample sizes. 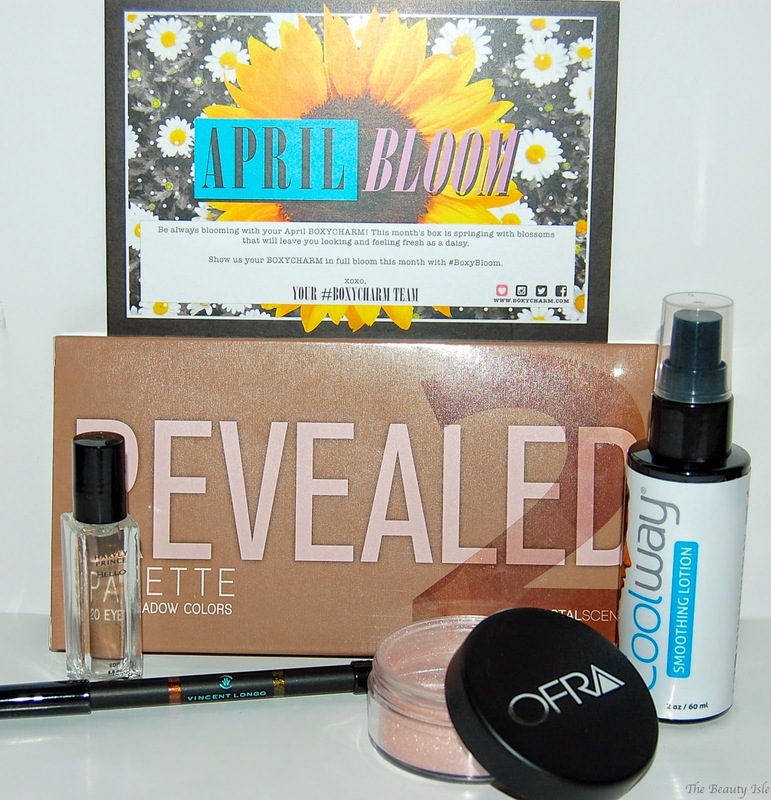 The theme of the April Boxycharm Box is April Bloom which is nice because it's finally beginning to feel like spring here in Boston! This is pretty self-explanatory, it's a hair smoothing lotion that helps with frizz. It has a potent perfumey/citrus scent to it which thankfully fades upon application. This did a decent job at taming my frizz. That's not a typo, this little mini roller ball perfume is really $21! It has a really nice and light musky scent that is feminine and not over-powering. This is a double-sided eyeliner pencil. One side is a light brown, the other side is an olive green. This eyeliner is really creamy and glides on my lids easily. 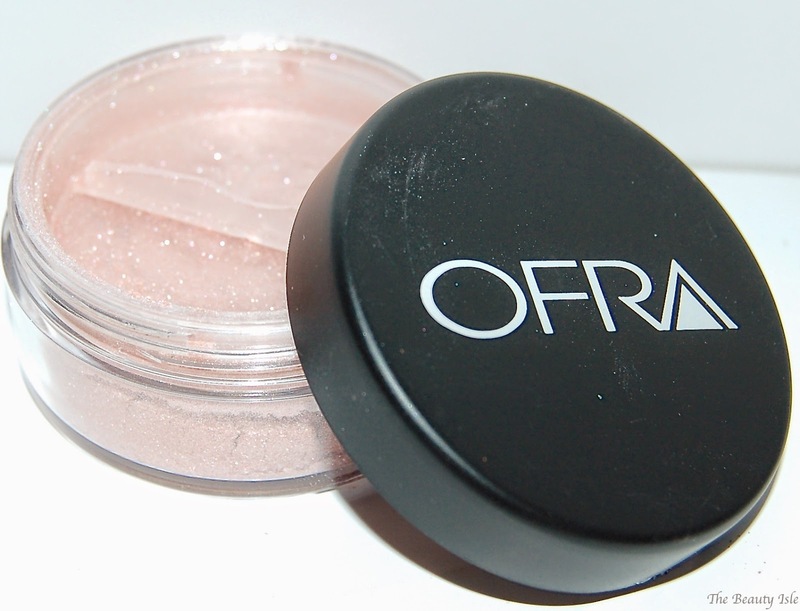 This is a shimmery loose powder that can be used on the face or body (or even your hair!). It's really sparkly so I personally wouldn't wear this on my face. It will be gorgeous to dust down the legs, arms, or decolletage in the summer with a tan. Wow, wow, wow, I can't believe we got the Revealed 2 Palette! 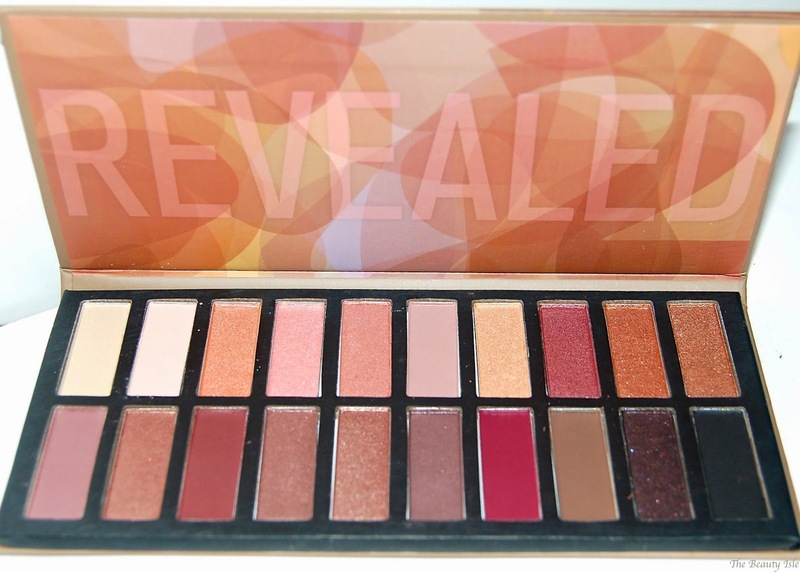 It was just December when we got the original Coastal Scents Revealed Palette in our boxes. This palette is very similar to the Urban Decay Naked 3 Palette which I don't own so I'm beyond thrilled that we got this in our boxes this month. I've already tried this palette and just like the original, the shadows are great quality! Stay tuned for a full review in the near future. Each Boxycharm Box costs $21, shipping is free, and you can cancel your subscription at any time. As you can see, I received 4 full size items in this month's box. The retail value of this box is $147! That's 7 times the cost of the box, this is the most expensive box I've received to date! Boxycharm is hands down my favorite beauty box! This beauty subscription service is more focused on makeup than other beauty boxes. Not to mention it's the only one with so many full size products in each box. It's also one of the best bang-for-your-buck boxes out there. I have yet to receive a box that is less than 4 times what you pay for the box. *I received this product for review, however all statements are 100% honest and my own.